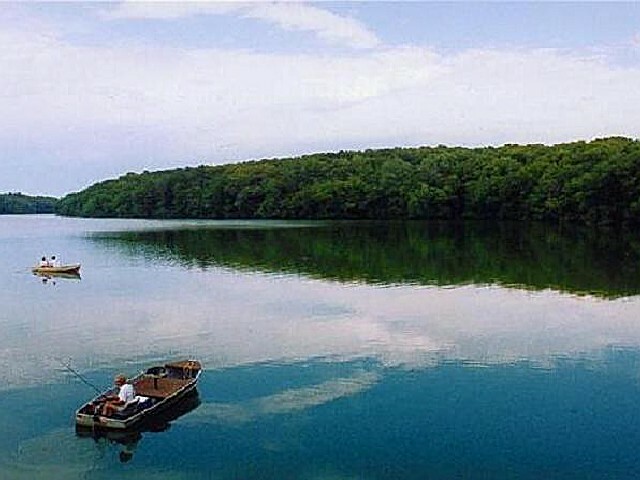 Pine Lake State Park provides a pleasing mix of woodland, river and lake in the midst of rolling farmland. 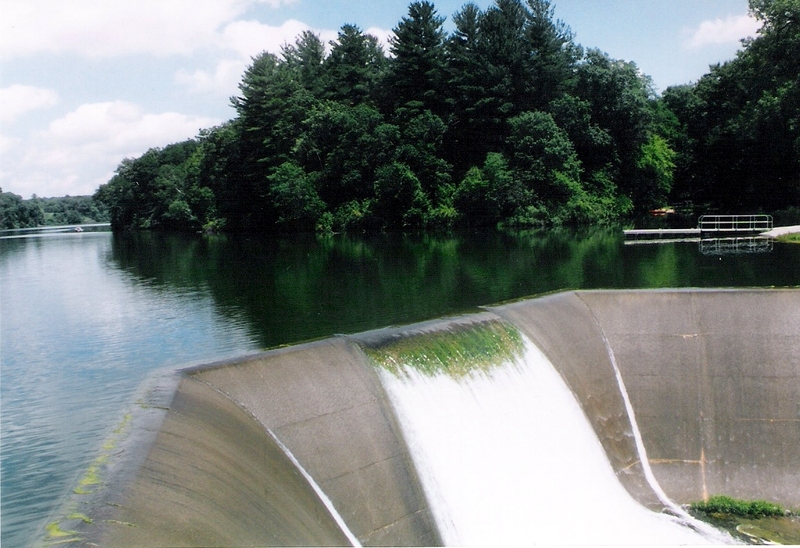 The 585-acre park encompasses two lakes: 50-acre Lower Pine Lake and 69-acre Upper Pine Lake. Of special appeal to nature enthusiasts are the ancient white pine, the white-barked birch trees and the rare ferns found along the Iowa River. 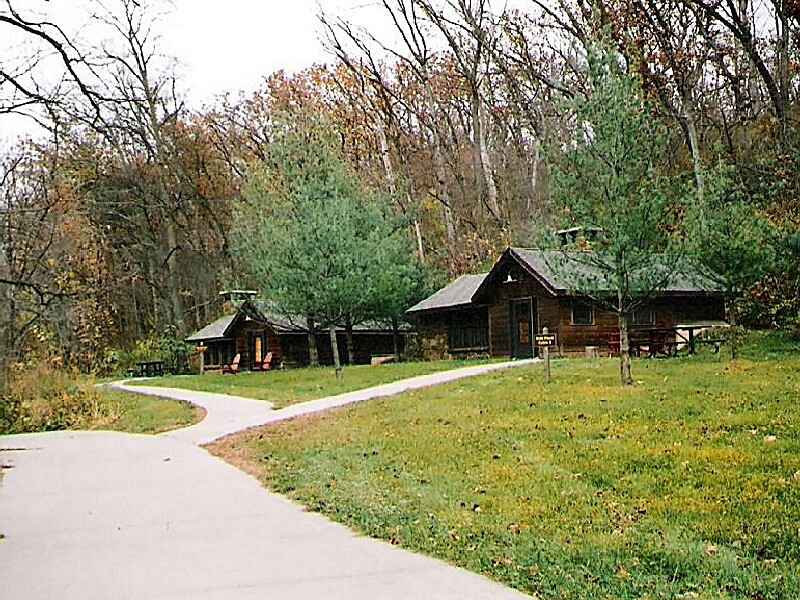 The pine-scented air of the campgrounds and picnic areas is a pleasing rarity in Iowa. Four recently remodeled stone and timber cabins are nestled along the Iowa River. Built by the Civilian Conservation Corps (CCC) and the Works Progress administration in the 1930s, these cabins have fireplaces to take the chill off a cool fall day. 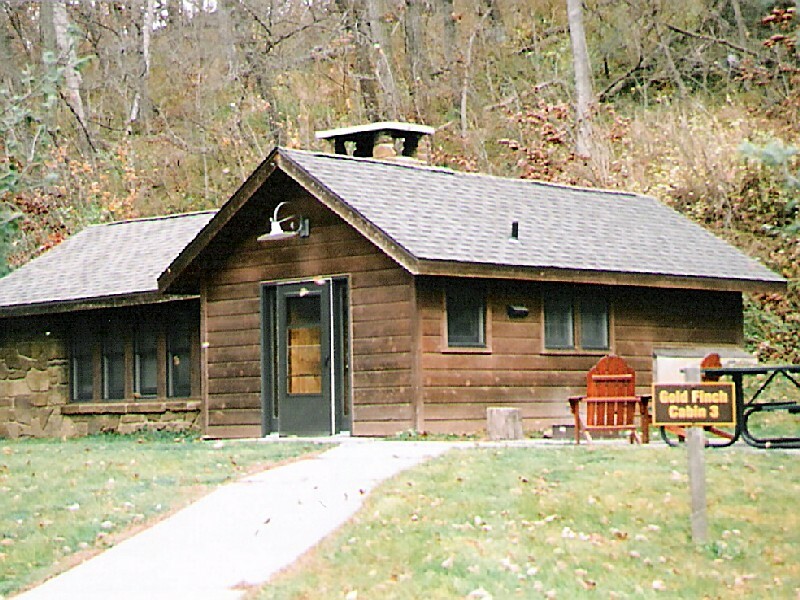 "Pine Creek" and "Bittersweet" cabins accommodate up to 6 people, "Goldfinch" and "Sandstone" up to four. "Pine Creek" is accessible to the mobility-impaired. 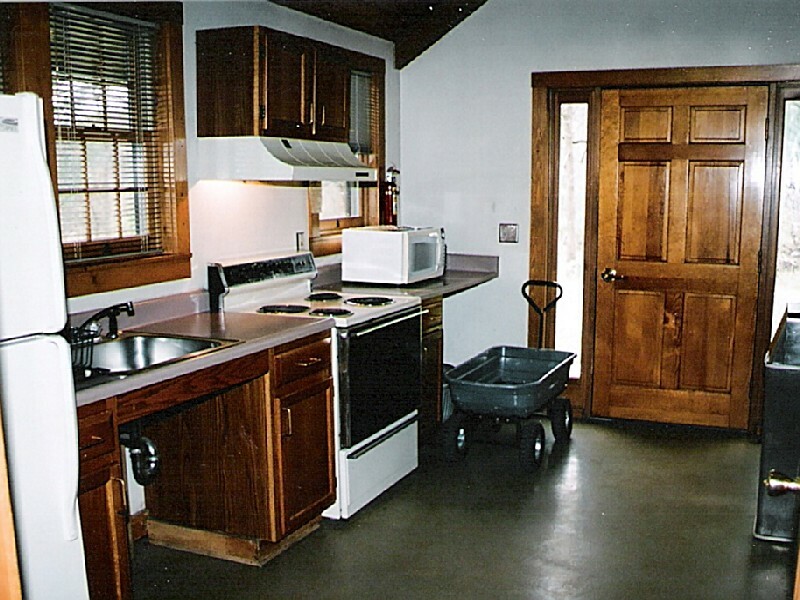 Each cabin features a shower, restroom, stove, and refrigerator. Cabin users must provide their own dishes, eating utensils, bedding, towels and other camping items. 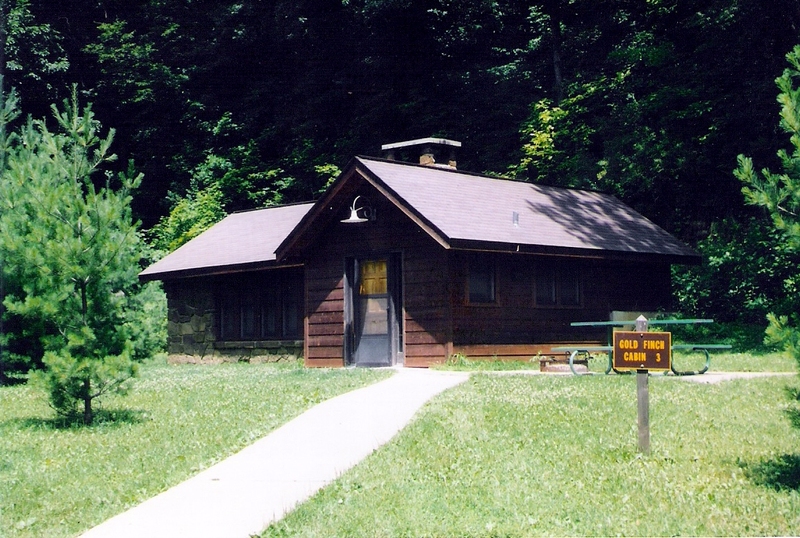 The cabins can be reserved for a fee through the Internet at www.reserveiaparks.com or by calling toll-free 1-877-IAPARKS. The Pine Lake campground is one of the finest in the state. 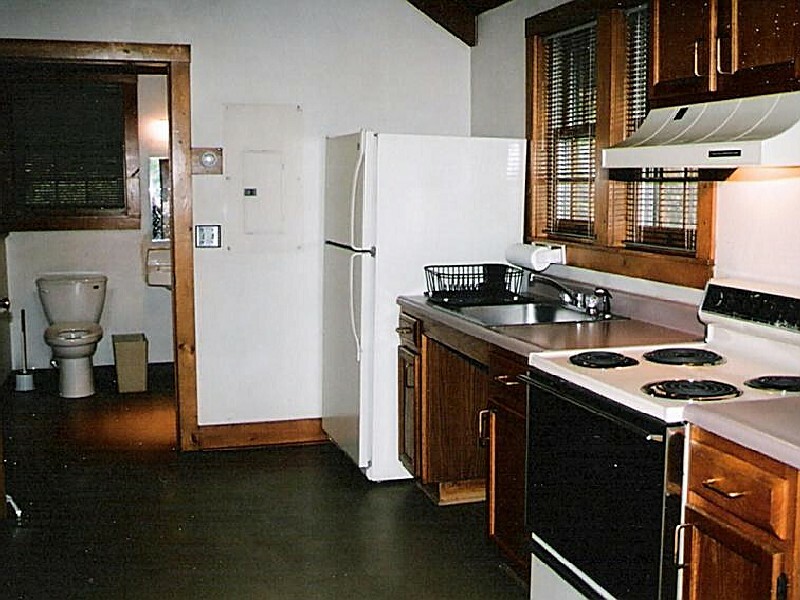 There are 124 camping units with electrical hook-ups, modern showers, restroom facilities and a trailer dump station. Starting February 13, 2006 advance campsite reservations can be booked through the park reservation system. Half of the campsites are still available for self-registration on a first-come, first-serve basis. Two camp pads are accessible to the mobility-impaired but the shower building is not at this time. 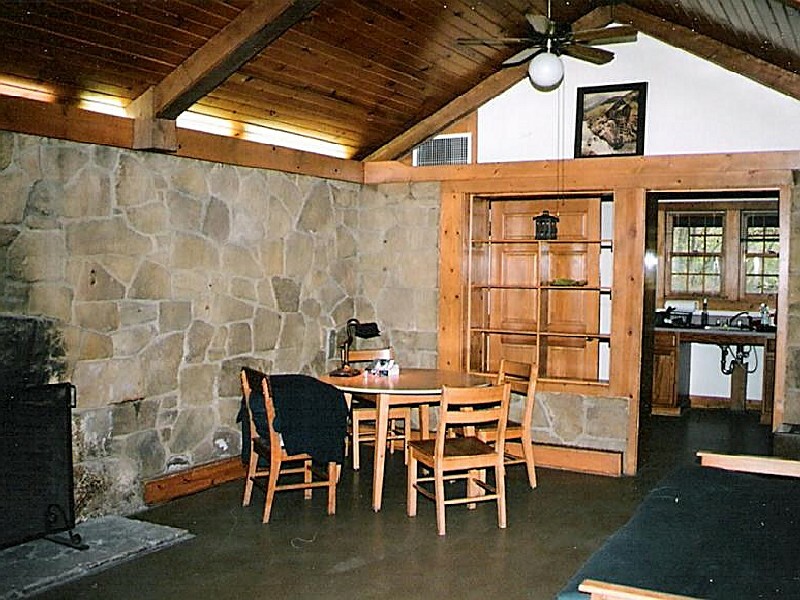 A beautiful stone and timber lodge is located high on a ridge overlooking Lower Pine Lake. 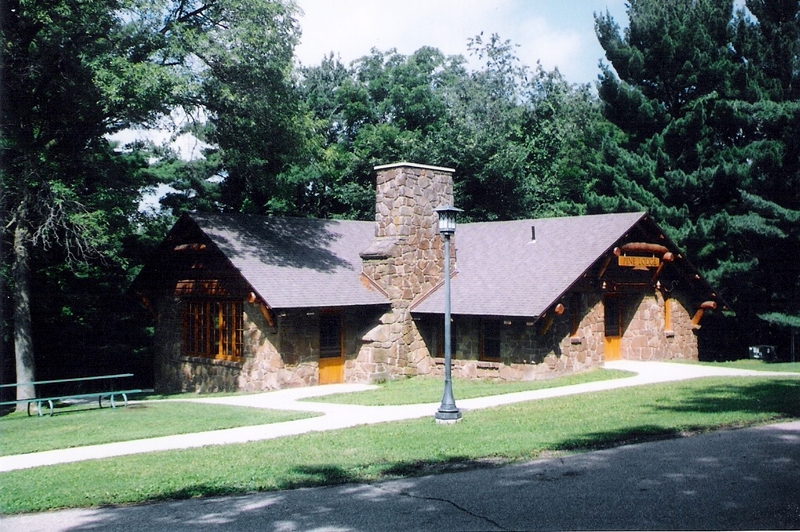 Built by the Civilian Conservation Corps in the 1930s, it is popular for reunions and other groups and may be rented through the park office. 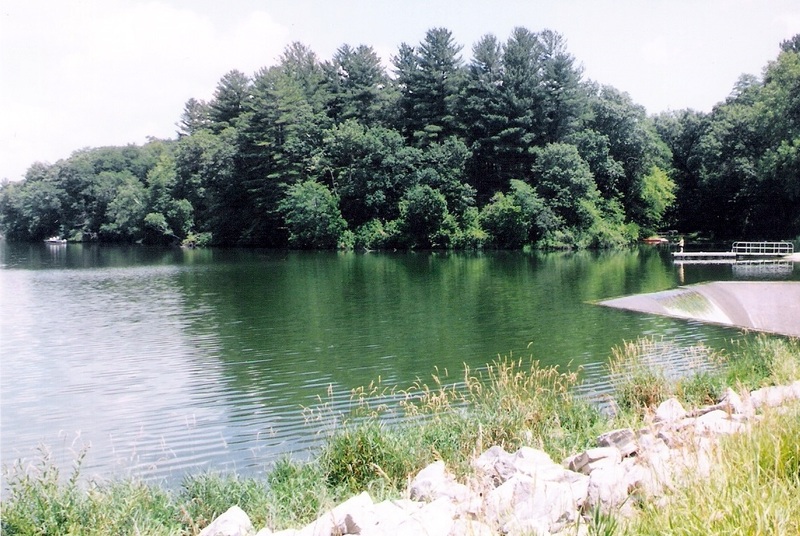 Pine Lake offers 5 beautiful picnic areas. One is a quiet river setting near Pine Creek on the eastern side of the Iowa River. The "Hogsback Bluffs Picnic Area" overlooks the lower lake. Others are located at the Upper Lake Boat Ramp, Circle Point and Horseshoe. The Horseshoe Picnic Area is accessible to the mobility-impaired. 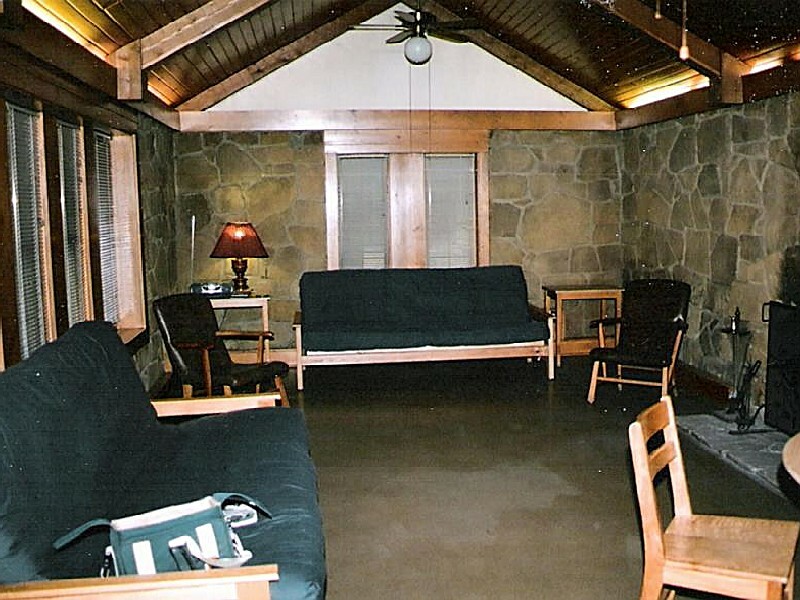 All picnic areas have fireplaces, tables and rest room facilities. Open picnic shelters located at Circle Point, Upper Lake Boat Ramp and at the beach may be reserved for a fee through the park office. There are more than 10 miles of well developed trails around the beautiful lake. Walk under 250-year-old white pine trees on the southern shore of Lower Pine Lake. A self-guided nature trail starts in the Hogsback Picnic Area and ends near the beach. Trails are marked with points of interest that correspond with trail brochures available at trail heads, the campground and the park office. 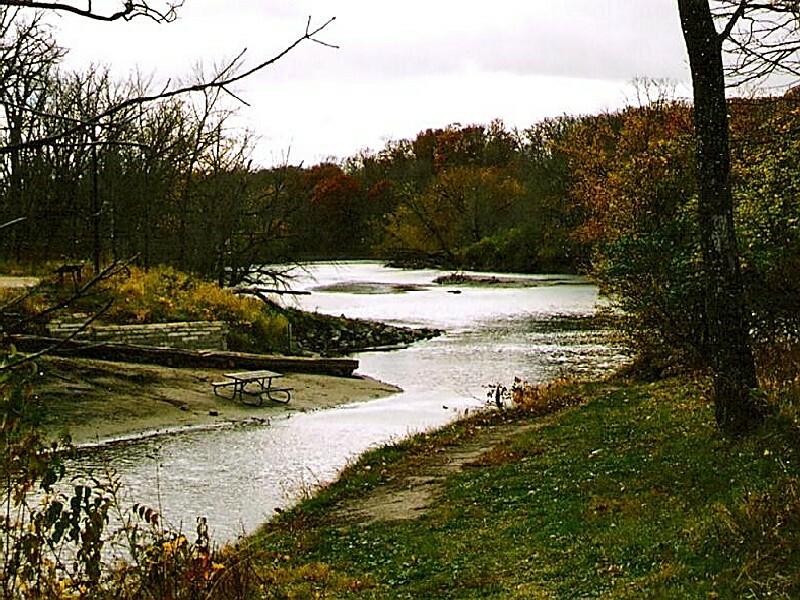 The Lake-to-Lake State Park Bike Route is a 50 mile route connecting Pine Lake and George Wyth Memorial state parks primarily utilizing county highways, and established bike routes and paths once inside Cedar Falls/Waterloo. 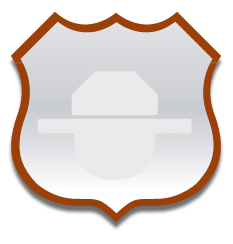 Carry your own gear and "rough it" in the campgrounds or take comfort in a local bed and breakfast or motel along the route. 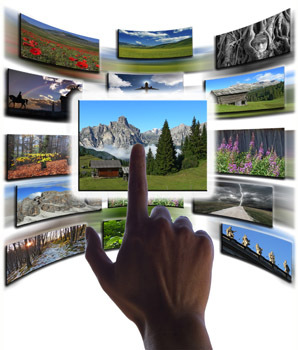 Some bed and breakfasts offer a shuttle service of gear or luggage for a nominal fee. Reservations for this service must be made in advance. Detailed route brochures are available through the DNR. 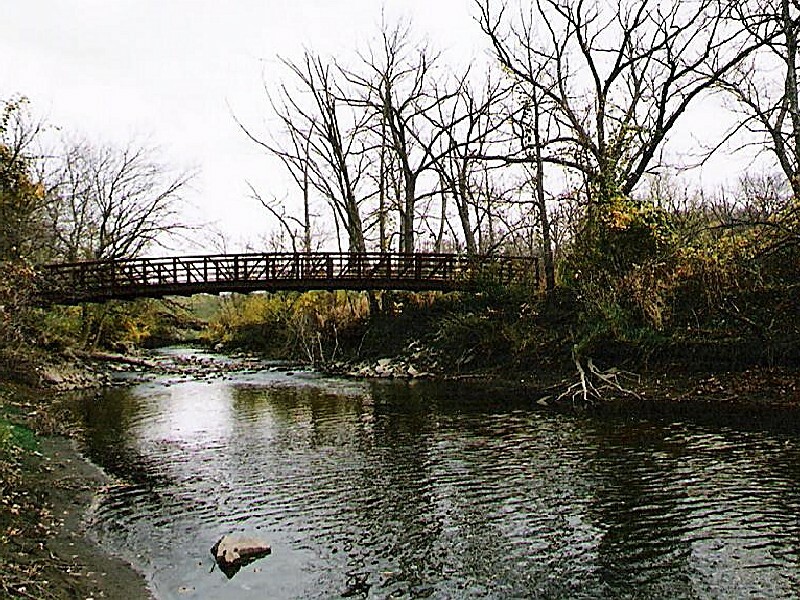 The trail head for the 52-mile Cedar Valley Nature Trail, which connects Cedar Falls/Waterloo with Cedar Rapids, is located on the southeast edge of Waterloo. Brochures are available by calling 319/266-6813. We had a family weekend getaway. No TV, no electronics, etc. We played board games and went for a hike. We built a fire and roasted hot dogs & marshmallows. We had a great time! the cabins are so cute and cozy and the park is beautiful. we loved it.